I hope you have all enjoyed the recent Festivities and are now ready to see what the year ahead in 2018 holds. We have plenty of opportunities for you to spread your wings and discover your painting ability whether it be with an online painting class from the comfort of your own home, joining one of the several mini-painting holiday breaks available or diving into a Residential Painting Holiday in Southern France. 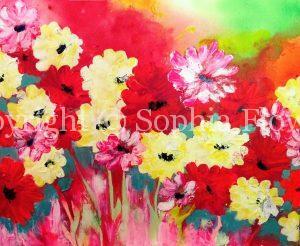 Please go to https://www.sophiaflowers.com/forthcoming-classes-exhibitions-events/ for a list of details. In the meantime, I trust that 2018 is an amazing year for each one of you filled with abundance and joy.